We had a beautiful baby girl – Keira Grace – yesterday at 2:47am. 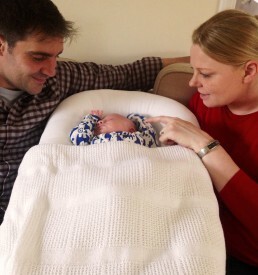 The midwives said it was one of the best births they’ve ever seen. They tried to send us home from the hospital because we were only at 3cm when we arrived. Phil convinced them to let us stay for an hour and see what happened. It’s a good thing- she was born about 4 hours later. An amazing experience. The hypnobirthing was the best training we could have asked for. Thank you so much!! We owe you a huge amount of gratitude! To be honest I don’t know how my pregnancy, birth and motherhood would be if it hadn’t been for Laura and her teachings on Hypnobirthing. She was definitely the teacher I needed that knew exactly how to guide me through the course so that every session I felt calmer and could notice my ability to relax deeper each time while I learned how to transform every fear into excitement and security. The only thing I had to give was my commitment to the practice at home. She was there every time I wrote or call in need for extra help and for sure I know that if I enjoyed the way I did all my process it has everything to do to hypnobirthing. Now I have discovered the power that my body and mind have and I will treasure it my entire life. I just wanted to pass on the great news that Theo James Galloway was born on 6th August at 7:06am weighing 7Ibs14oz. The birth was an enjoyable experience without complications. 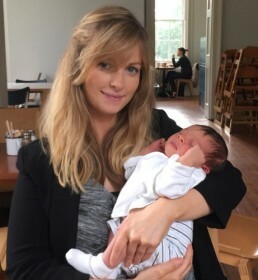 Your classes really helped Ethan and myself remain in a calm state throughout the entire birth, so much so that I did not need any form of pain relief assistance and I was 9cm dilated by the time I arrived at the hospital. I am very glad that I was apart of the Happy Birthing course and I will be recommending you to all of my pregnant friends. We look forward to seeing you at the class gathering once everyone has had their babies. Laura I cannot thank you enough for everything you have done to prepare us for the gentle birth that we were able to give our baby. Your support and training has been such a gift and enabled both my husband and me to let go of our fears and feel confident and empowered when our birthing day came. You are wonderful! Archer was born 16 Jan at 9am weighing 5lb 13oz, he is a healthy and handsome fella – see attached pictures. The hypno-birthing really helped and the breathing exercises were amazing techniques. 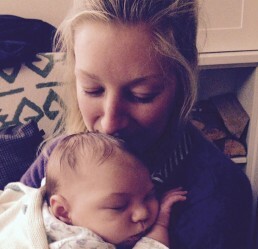 Charissa did amazingly and gave birth naturally with no pain relief at all. It really was an incredible overwhelming experience, which we have to thank you for preparing us for. We immensely enjoyed the course and thought your delivery was fantastic. 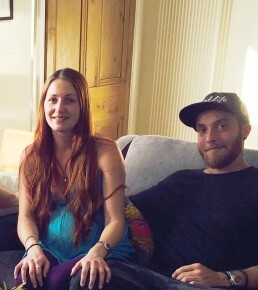 I attended a Hypnobirthing course which was taught by Laura over summer. In addition to being a very reassuring, calm and confident teacher, Laura has a very warm and serene personality. I learned a lot not only about birthing process itself, but also about relaxation techniques which will be helpful way beyond the birthing day. The biggest benefit of the course for me was the gradual easing into the idea of calm and happy birth which I hope to have shortly. I highly recommend Hypnobirthing classes with Laura. We are so happy to welcome Isabelle in our family! After a long wait, she was finally born yesterday morning. It was the perfect quick and natural delivery i was dreaming of. I always wanted to have a homebirth. 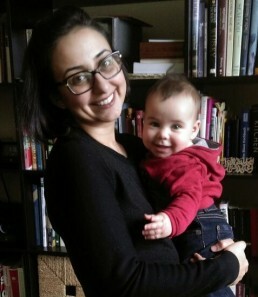 With the help of Hypnobirthing, I had the most amazing homebirth that I could have asked for. Laura’s classes were such a great help, an essential for anyone giving birth. The whole experience was very quiet and peaceful, the midwife was so lovely and very thorough in a non intrusive way. She commented, “I don’t even know when your having contractions!” I was concentrating so much. It was just beginning to get bright when Louie was born. The pool was facing the garden so I had a lovely view the whole time. There was also a silent electrical storm that evening, a sign of things to come!! We have just been on cloud 9 since he was born. Having a home birth has made the transition to parenthood so natural and everything has just been perfect so far. The Hypnobirthing had a huge part to do with it as well. Jake said he would never have it any other way than right by my side and he absolutely loved the Hypnobirthing. It was such an experience for both of us. Thank you so much for everything, we are so glad we did the course with you and not by ourselves or on a weekend. You were so passionate and interesting, we enjoyed every minute and really appreciated the time and effort you put into the course for us. Thank you for bringing Hypnobirthing into our lives. I have been spreading the word ever since the first class and even more so now that I’ve been through the whole experience! Despite I did a hypnobirthing course for the first birth, I felt I needed to do it again as I didn’t feel prepared enough. Also, I was planning a home birth and I wanted to be as relaxed as possible, also in relation to my home birth. So I started the lessons with laura and I immediately felt at peace and much more relaxed about the birth, birthing at home and about any worries I had. 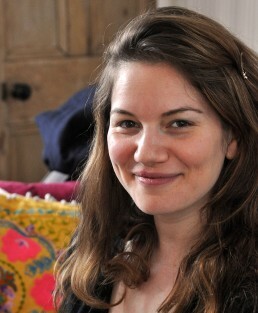 Laura has an incredible calming voice and a very reassuring way of preparing for your birth. She is passionate about her work and she really takes care of your birth, your preparation and especially your emotions. Her relaxation techniques and the breathing exercises she taught me have helped me massively during the birth of Gabriele: I managed to give birth at home, in less than 4 hours, with an incredible peace, calm, confidence and love. I have recommended Laura to all my friends and if I had another child, I would like to have Laura again with me! I wanted to wait to write back to you so I could take the time to put into words properly just how much we both enjoyed the course. From the very first session we were completely blown away by how much sense it all made and how intuitive the whole ethos is – although I’ve given up trying to convince everyone they should do it and realised I need to focus on my own experience and let other people do the same! You made us feel so relaxed right from the start and really confident about our abilities to do all the techniques. There’s a couple of things I think make your course so unique and fantastic. Firstly, I think the setting in particular and the fact that you’re so willing to open up your home makes the course so much more intimate and close. Secondly, your personal style and passion for the subject makes it very hard not to be carried away and feel totally at ease. I can’t thank you enough for your help so far. No matter how the birth turns out, and I’m sure it will be an easy comfortable birth, feeling this relaxed in the run up is something so special. 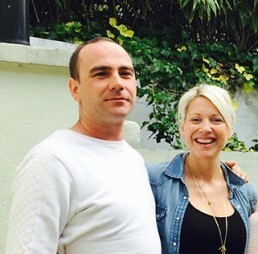 The birth of our baby was unique and beautiful thanks to the insights I gained from the Hypnobirthing method and your personal training. Using also a few positions from my yoga practice, I was able to give birth naturally as smooth as possible. Though the midwifes in the birth centre were unaware of the hypnobirthing method, they accepted my birth plan. Eventually they were surprised to see me hypnobirth my baby while my partner was supporting me using the course exercises. Laura, the entire course with you was absolutely useful and effective. My birthing experience was so sweet thanks to the key skills I gained in the course, allowing me to trust my body even when it was hard for me to let go of my fears. Both Rick and I were initially very sceptical of hypnobirthing (just about all our friends have kids and delighted in constantly telling us how AWFUL birth was), but decided to suspend our disbelief and see what it was all about. Turned out to be the best decision ever. The simple fact of knowing exactly what your body is going to be going through, together with a few powerful techniques for remaining calm and in control, result in a completely different, positive experience – and for us, this came in spite of being landed with the midwife from hell in the middle of the night, with no-one else on shift. Laura herself is fantastic, radiating positivity and calm, and we loved every moment of the course – I can’t recommend her highly enough. If you are in two minds about whether hypnobirthing is for you, I’d say: Yes, it is! If it can work for a pair of cynics like us it can work for you – do it, you won’t regret it.